Many of today's therapies for cancer or heart disease are monoclonal antibodies that bind and disable proteins outside the cell. The immunotherapeutic checkpoint inhibitors, such as Yervoy, block suppressor proteins, for example, unleashing the immune system to attack cancer. But monoclonal antibodies aren't effective against all proteins, can't enter cells and must be delivered via injection. The chemical in this instance stalls the ribosome only when it's producing the protein PCSK9 and a couple of dozen others out of the tens of thousands of proteins the body produces, as shown by a relatively new technique called ribosomal profiling. "PCSK9 was just where we started. Now we can think about how to come up with other small molecules that hit proteins that nobody has been able to target before because, maybe, they have a floppy part, or they don't have a nook or cranny where you can bind a small molecule to inhibit them," Cate said. "This research is saying, we may be able to just prevent the synthesis of the protein in the first place." "We now have this key blank that we can cut in a number of different ways to try to go after undruggable proteins in a number of different disease states," Cate said. "No one really thought that would have been possible before." When it became clear that the chemical was acting on the ribosome, Spiros Liras, vice president of medicinal chemistry at Pfizer, approached Cate and Jennifer Doudna, both leaders in the field of ribosome function and translation, to establish a collaboration through UC Berkeley's California Institute for Quantitative Bioscience (QB3) to further investigate the questions of selectivity and mechanism of action. Cate is also director of UC Berkeley's Center for RNA Systems Biology, while Doudna is a professor of molecular and cell biology and of chemistry, a Howard Hughes Medical Institute investigator and executive director of the Innovative Genomics Institute. "Pfizer brought a significant depth of knowledge and resources to the collaboration, including fundamental cell biology, disease-relevant expertise, chemical biology and medicinal chemistry,"said Liras. "We aimed at building a strong cross-institutional collaboration which would complement our strengths in drug discovery with UC Berkeley's strengths in ribosome biochemistry and structural biology." "We found that the proteins that are stalled are too short to stick outside the ribosome," Cate said. 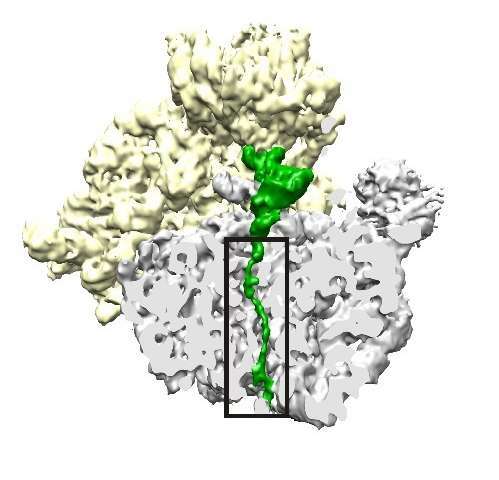 "So we think the compound is actually trapping this snake-like chain, the starting part of the protein, in the tunnel—not completely blocking the tunnel, but just partially blocking it, in a way that prevents this particular protein from making its way out." 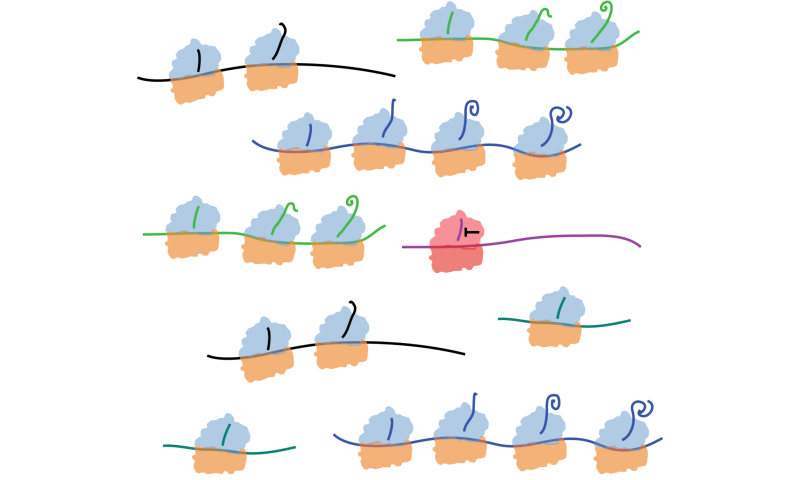 While it's still unclear what the two dozen proteins affected have in common that makes them susceptible to stalling by the small molecule, Cate sees these findings as clear evidence that ribosomal stalling can occur very specifically, something most researchers thought unlikely. "We think that we now have enough understanding of the mechanism that we have our foot in the door to explore the relevance of this biology more broadly," said Cate.